Fran Koerting, director of Residential Life, enjoys working with students. After working in a variety of roles in higher-education, Fran Koerting has found her niche. 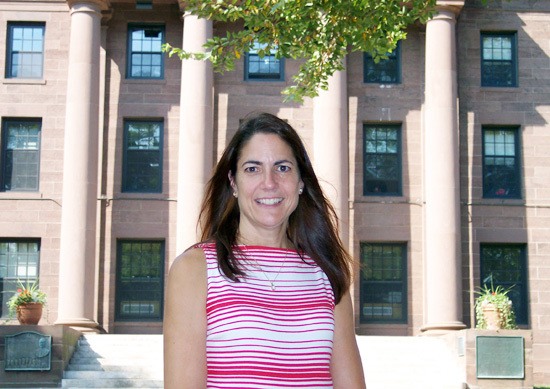 Koerting spent the past eight years working as the director of Residential Life at Fairfield University. She came to Wesleyan in July. The Fauver Field residences and prototype homes on Fountain and Warren Streets are two examples of facilities designed with students input. Upcoming decisions that students will be involved in include furnishing the senior wood frame houses, additional laundry facilities and renovations to Foss Hill residences, to name a few. Within her own department, Koerting actively seeks student input to better student life. In addition to Residential Lifes 99 student employees, she meets with individuals to address their concerns and find solutions. She serves on several committees with students, which discuss issues that affect students. Koerting says the residential requirement underscores Wesleyans emphasis on the development of students outside of as well as in the classroom. By living on campus, students learn to build community, respect others and be a responsible member. Maria Cruz-Saco, dean of the college, says in the short time that Koerting has been with Wesleyan, she has already made a strong impact in handling residential affairs. Koerting manages the departments operating budget, meets with the Physical Plant staff, deans and department heads to discuss issues. She also deals with parents, who often call in with questions and concerns. Maureen Isleib, associate director of Residential Life, says Koertings personality and energy has given the department new direction and goals. The biggest challenge in Residential Life is being prepared for the unexpected, Koerting explains. This can range from transition issues to crisis management  quite possibly dealing with the death of a student. On her days off, Koerting spends time with her husband, Walter, and children Katrina, 16, and Stephen, 14, and her Shepard-Black Labrador mix, Kukla at their home in Shelton, Conn. When shes not busy attending her childrens soccer games and marching band performances, Koerting enjoys sewing, crafts, reading, and teaching Sunday school.